Levi Johnston doesn’t regret many things in his life, but what he does regret might surprise you. When a 20-year-old male like Levi Johnston has raked up enough drama for a lifetime, you’d think there would be a list of regrets a mile long. But not for Johnston. Levi Johnston has posed for Playgirl. Does he regret it? No. He became a teenage father with his now twice ex-fiance, Bristol Palin. Does he regret it? Not really. So, does the man who famously became the biggest thorn in Sarah Palin’s side regret anything? According to Johnston his “biggest” and “only” regret is publicly apologizing to what could have been his mother-in-law, Sarah Palin. According to Johnston, he apologized to make his then-fiance, Bristol Palin, happy. “That was something I did to make my fiance happy,” Johnston said. Levi Johnston and Sarah Palin publicly exchanged insults in the press following his first 2009 breakup with Bristol Palin. Levi Johnston and Bristol Palin shocked the public by claiming they were back on and getting married but called off their second engagement in July of 2010. 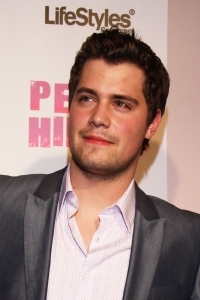 Levi Johnston is reportedly taking his turn in reality television. Johnston will allegedly run for mayor of Wasilla, Alaska and document the process within the show. During The Early Show interview, Levi Johnston was asked if he’d be a better leader than Sarah Palin. “Let’s hope so,” he answered. “I can’t guarantee or promise you anything but I’m gonna try. That’s the goal.” Not sure if that was another slam, but it sure sounded like a challenge on Levi Johnston’s part. Johnston added, “If we do win, I’m going to have to give up Hollywood for three years.” No paparazzi and tabloid scandals? Whatever will one do?